Oversized First Issue Sells Out – Will Return For New Printing! You just can’t keep that fabulous fowl in stock as fans go quackers over Howard the Duck and the first appearance of Gwenpool! 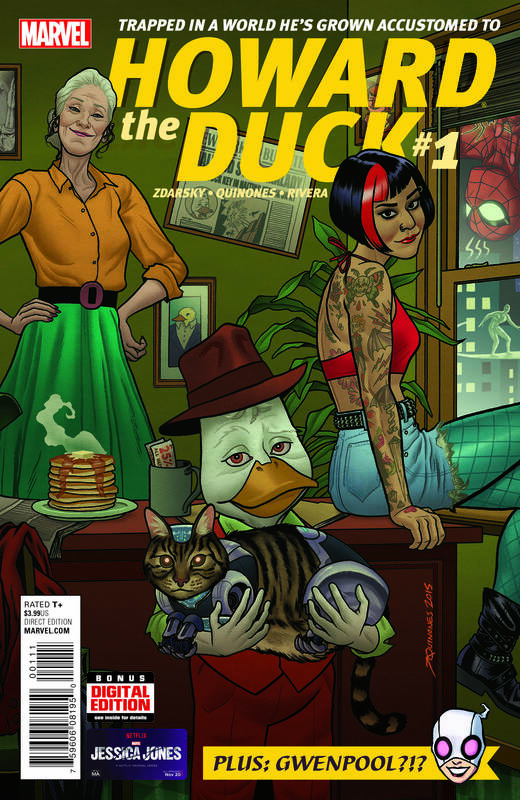 Today, Marvel is pleased to announce that HOWARD THE DUCK #1 has completely sold out at the distributor level (though copies may still be available at retailer level) and will immediately be rushed back for a new printing. Trapped in a second printing they never made, writer Chip Zdarsky and artist Joe Quinones thrust Howard into the All-New, All-Different Marvel Universe, surprising him and everyone with female versions of Howard and Rocket Raccoon?! But that’s not all! Writer Christopher Hastings and artist Danilo S. Beyruth bring you the debut you’ve been waiting for – Gwenpool! Missed out on her first adventure? Now is your (second) chance to be there as she slices and dices her way through the Marvel Universe! 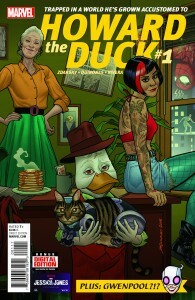 Don’t miss HOWARD THE DUCK #1 when it makes its returns to comic shops this December! Retailers: this second printing will ship with two covers. Both a Howard the Duck and a Gwenpool second printing variant will be made available. Check your Marvel Mailer for additional information.